Your space. Your journey. Your community. The Fish Interfaith Center offers support and inspiration to every student and member of the Chapman family! We invite you to discover your center, lower stress and deepen spiritual awareness through a religious or spiritual group, secular mindfulness or one of the Center’s many other practices. We encourage you to gather at the Fish Interfaith Center to mark special celebrations as a community. Every experience is unique and personal, but in the Fish Interfaith Center, we all connect to one of Chapman’s most foundational traditions – to pursue spiritual growth and our most awakened potential. Together, we honor the University’s four guiding pillars: spiritual, intellectual, social and physical. Chapman University's Fish Interfaith Center was recently mentioned in The President’s Interfaith and Community Service Campus Challenge (PICSCC)! 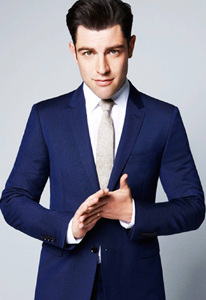 Join us this year for our 2019 Baccalaureate Service featuring Max Greenfield, Co-star of TV series New Girl and Neighborhood. Click here to learn more!